Its body was large and rounded, with a tapering down to the neck which dipped under the water, becoming visible about 18ins away, rising in an arch to about 6ins. above water before dipping again. Where this arched neck re-entered the water it had every appearance one would associate with a head. The body showed about 1ft above the water. Its colour was very dark. When we returned the object was quite fifty yards nearer. The sun gave it what I would call a straw colour. He shot off another sequence of film and that was that. I could not ascertain how the experience ended, whether the object was left as it was found or whether it submerged. One would assume the former scenario. Very little of Taylor's original words make it into the book. The only words I could find were those I just quoted above. Be that as it may, the account of this sighting by Taylor or the anonymous woman do not make it into the newspapers of the time and so this had to wait 22 years before it emerged into the public arena. In fact, I would speculate that the film may have lain dormant longer unless another film of the Loch Ness Monster had not gained worldwide attention in 1960. That was the Tim Dinsdale film and I suspect the publicity surrounding this convinced Mr. Taylor (perhaps spurred on by his associate Dr. Crouch) to contact Burton. And so Mr. Taylor sent Burton the film as well as his diary around 1960 and the analysis subsequently appeared in Burton's 1961 book, "The Elusive Monster". Indeed, since it was allocated over a chapter of material, it received more attention than any other item of Nessie evidence in the book. Dinsdale's just released film got one page of attention, Taylor got eleven pages. For better or worse, the rest of the analysis goes through Burton's sceptical filters, for there could only be one outcome to this particular analysis. In the end, the only thing that approximated to primary sources were one still from the the film and the above quotes. The author of "The Elusive Monster" was now the author of the elusive monster film. So runs Mr. Taylor's account. Given that this was an extract from his diary, we can presume it is of good accuracy and not subject to the vagaries of recalling an event over twenty years later from memory alone. I had earlier updated readers on my own attempts to find this film so that a second analysis may be effected. As of today, there is no success in finding any trace of this near mythical film. Unlike the McRae and Currie films, we know for certain that this film existed, the problem is we do not know its current status. However, the time to have homed in on this film was back in the 1960s when the trail was relatively warm. In that respect, I refer to the writings of Holiday, Mackal and Costello which raised the interesting question of whether Burton possessed a copy of the Taylor film. First, Ted Holiday in his 1968 book, "The Great Orm of Loch Ness" tells us that he wrote to Burton requesting the address of Taylor in the hope of borrowing the film. But Burton replied saying he had a copy of the film and may be willing to let Holiday see it. When Holiday said he would like the Loch Ness Investigation Bureau to scrutinise it, Burton declined and there things ended. In case one thought Holiday had got his wires crossed, Roy Mackal stated the same thing after meeting Burton in July 1968 after a BBC television programme. In his book, "The Monsters of Loch Ness", Mackal says he got talking to Burton about the Taylor film after the show and he agreed to let him see the film. Sadly, repeated attempts by Mackal to contact Burton to arrange the viewing all failed as Burton refused to answer his letters or calls. Peter Costello had a slightly different experience with Burton a few years later. In his book, "In Search of Lake Monsters", he opined that Burton refused him access to any of the stills he had in his possession. A different request, but the same complete lack of cooperation. It seems Maurice Burton's conclusions were final and it was obvious to him that nothing was to be gained by letting the "believers" anywhere near the evidence. It seems clear to me that Burton had a copy of the film and dozens of still photographs taken from the film. 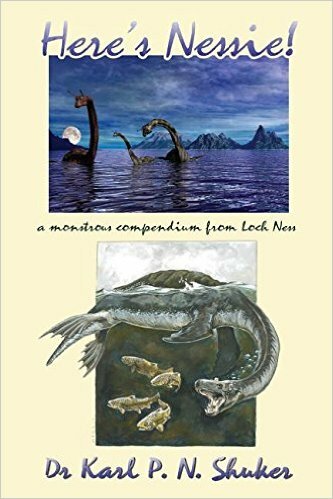 However, in contrast to this, sceptic Steuart Campbell in his book, "The Loch Ness Monster - The Evidence" makes no mention of any film. I emailed him recently and he confirmed his correspondence with Burton back in the 1980s made no mention of any copy of the film. When I contacted Maurice Burton's son, Robert, about the film; he was rather more forthright. If I had a fiver for every enquiry about this film! In his book, my father said he was lent the film. It was returned to Mr Taylor after the analysis. 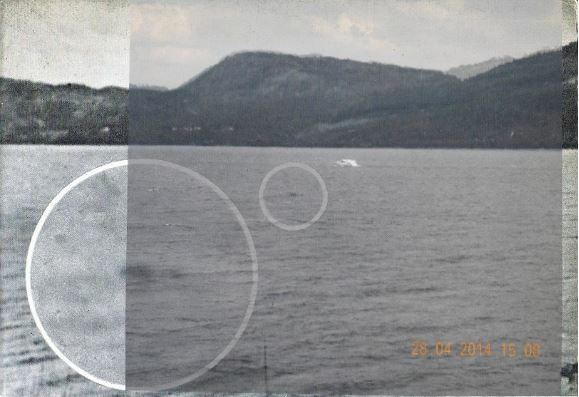 When I watched it I concluded that if the object had been seen anywhere other than Loch Ness, it would have been unremarkable! So, we have a diversity of opinion on whether a copy exists or not. I will just have to leave that particular matter there and let readers form their own opinion. Let us move on and look at what we do know and what we can know. I have no hesitation in saying that this film contains the most important piece of evidence on this vexed problem it has so far been my privilege to examine. animal-like only in showing movement, but the movements are those of an inert floating object. Burton goes through a frame by frame analysis and describes an object which seems extraordinary in its fluctuations as the presumed body, head and neck varying in height, length and form. This includes variation in hump count as it changes between one and two humps. However, Burton thinks any movement is dictated by the surrounding waves rather than anything in the object itself. Given this was the first colour film of the Loch Ness Monster, Burton observes apparent changes in the intensity of colour regions which even change position! Burton speculates whether this may be due to a rolling motion. Towards the end of the film, the object takes on a straw colour. Also fascinating was the fact that Burton observed the object suddenly disappearing under the water after morphing to only a single hump. This act took only one frame after which there is no monster for fifteen frames (about one second). Then for the next nine frames, a slight shadow intensifies back into a single hump. The more I read this, the more I wish I could see this film! Burton also thought that since the object never raised its neck above the water, this was to be considered a fact against it being an animal, since he expected any animal to raise its head for a look around. I do not find that argument particularly convincing. Likewise, since the object seems to have done very little in the 45 minutes between the two film sequences, Burton also considered this an un-animal feature. Burton had shown the film to a select audience to garner opinions. A minority thought it animal ("it will take a lot to convince me that is not an animal") while the majority opinion was best summed up by the comment that it looked "more like a sheet of sacking being gently tossed on the waves", their conclusion was that it was an inanimate body of unknown identity. However, at the end of it all, Burton offers no personal explanation to what this object actually was. The closest we actually get to this was over twenty years later when he mentioned to Steuart Campbell that the film was shown to the National Institute of Oceanography and they plumped for a dead horse or cow. Indeed, Burton told Campbell that a "four horned monster" had been reported in the loch around that time and had been identified as the bloated body of a horse with its four legs sticking up in the air. As it turns out, no researcher has ever found this report and it is now presumed that Burton misremembered it. It is also unclear to me how a rigid corpse could be reconciled with the dynamic quote that the object was like a sheet of sacking being tossed in the waters. Let us now move onto this author's own analysis. As you can see from the still above, which was published in Burton's book, there is a sufficient view of the background hills to identify the location. According to the book, Taylor was on the northern shore of the loch at a point opposite Foyers. That places us around the location circled on the map below. Of course, there is nothing like being there to conduct an onsite investigation, and that is what I did back in 2014. Parking my car at a spot which may well have been occupied by Taylor's car 78 years previously, I took some comparison shots starting with this one just off the road. The view was not too great and I suspect Mr. Taylor had a clearer view of the loch back in 1938 due to the cutting back of trees for the earlier road expansion. Making my way a little further down the hill presented a better view for a sequence of comparison shots for better analysis (picture below). However, a problem presented itself when I got back home to compare and contrast the images. The contours of the distant hills did not match Burton's image. Had I reached an impasse? 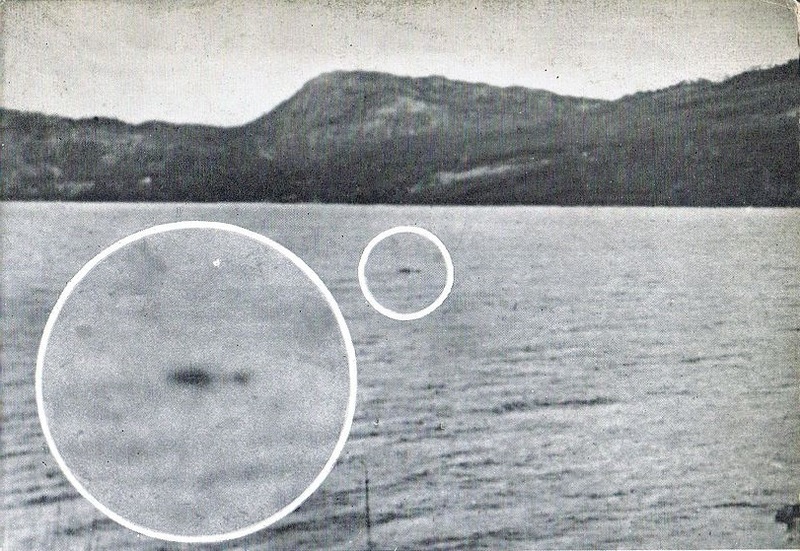 Was the location wrong and perhaps not even taken at Loch Ness? The matter was resolved in a simple manner. The Burton image was flipped over and the solution became apparent - as you can see below with the overlay of the two images at the end to confirm the congruent hills. The upshot is that for fifty five years we have been looking at a reversed image and not what G. E. Taylor actually saw and filmed. This will impact the proceeding analysis of the film. One can see how Burton may have made this error as a 16mm film strip may look the same flipped over if one is not familiar with the content of the film. Whatever the reason, we move on. How big is the object in the photograph? That is not so easy to ascertain on its own, but we can get a sense of it with some modern comparison photographs. Ideally, I wanted a boat of known size to pass over the same spot as the creature. From this, an estimate of the creature's visible size could be made. After waiting a long time, a Caley Cruiser passed by, although further out. Applying an overlay gives us a view of the relative sizes of the objects. Since the object is closer to us but relatively smaller than the 30 foot cruiser, it is absolutely smaller than the cruiser. The account given to Burton states the object as being no more than 200 yards (about 200m) from the northern shore. If we assume the Caley Cruiser is motoring in mid-loch (a common sight), we can estimate the size of the object as being about 5.5 feet across at the waterline (object at 200m, boat at 625m, boat measures 14mm, object measures 8mm, scale down from 200m to 625m gives 5.5 feet). Burton states Taylor as estimating the object at no more than six feet across the waterline, so this is a good agreement. However, Burton thought it could be as long as twelve feet, but we will go with the numbers in agreement of about six feet. Now, clearly, there is no aquatic animal in Loch Ness which could expose this much body line above water. In fact, using my normal heuristic that only one third of the whole animal shows above water, this gives us a potential creature size of 18 feet. 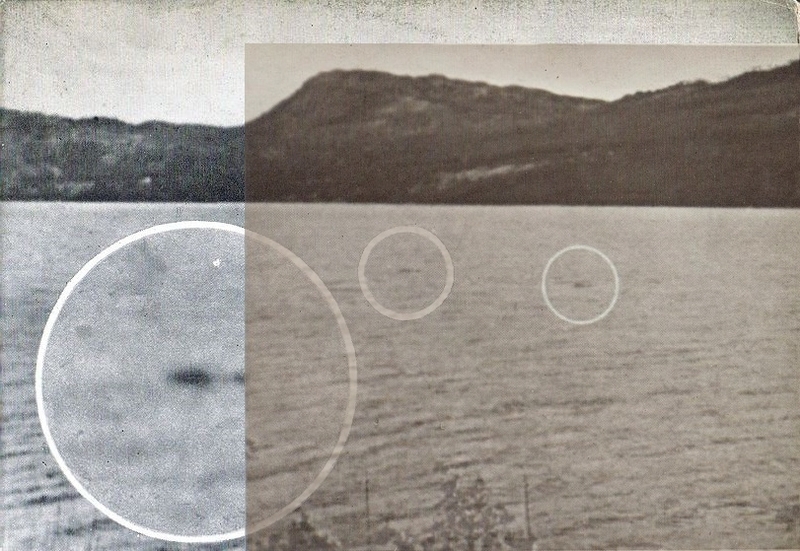 Now in the course of general Loch Ness investigations, I came across some more stills from this mysterious film. During one of my frequent visits to the National Library of Scotland in Edinburgh, I was actually looking for more information on the Peter O'Connor photograph, which Burton also had a stake in. He had written various articles for the Illustrated London News, and so it was that the 26th November 1960 issue yielded two more stills. The one we already know about is shown first for comparison. The two new stills are in the correct orientation and do not need flipping like the first one. Clearly, Mr. Burton had more stills than one may have initially assumed. In fact, I would wager he had a very large number of them and no one else was going to get a look in. Whether there are more of these frames published in unknown journals at unknown dates is a matter of conjecture. The point now is that I fear they have all been destroyed by those who saw no point in letting anyone else see them. But I digress. Now, Taylor said he shot two sequences separated by 45 minutes in which the creature was said to have moved. These stills would bear out that fact, if we assume Taylor was roughly in the same spot each time. 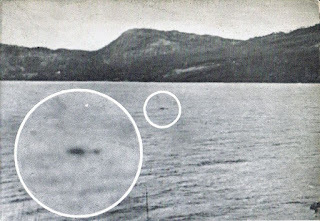 Using the elongated area of treeless ground on the opposite shore as a reference point, it is evident that the top two stills were from the same sequence while the last one was from the other sequence. Mr. Taylor said that the creature had moved 50 yards closer to the northern shore in between the two film sequences. If we overlay the first and third stills and use the object length of six feet previously calculated, the distance between the objects in the two stills is an apparent 20 yards. However, there may be a degree of foreshortening due to perspective between the two which would increase that actual change in distance. In other words, the west is to the right of the stills and so the third frame is from the second sequence and the first two from the first sequence. However, if this is an inanimate object, we have a problem as the prevailing wind moves from the south west of the loch to the north east. In other words, the wind proceeds from right to left in the frames. Meanwhile, the object has moved from left to right in the opposite direction. Burton himself confirms this south westerly wind when he describes the choppiness of the waves in his analysis. So how does an inanimate object move against the prevailing wind? Burton is ambivalent on this question and does not really address it by downplaying the effect ("moved slightly") and talks more about how the object retains is position against the wind and waves (pp.89-90). I myself do not regard a counter move of at least 20 yards as something slight and rather something indicative of a living entity. This is why a second set of eyes on this film was always necessary. Of course, the sceptic may suggest the near mythical seiche effect which is an underwater wave which can make objects such as logs appear to move of their own volition. 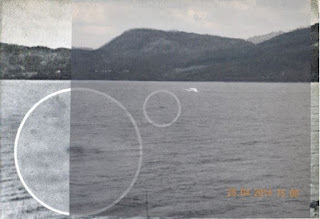 Finding examples of this effect at Loch Ness proved to be elusive themselves, but I found an alleged film of a log being driven counter to the surface waves at this link. However, there was 45 minutes between the two film sequences. I estimate the object moved 20 yards which equates to a speed of 16 inches per minute. Mr. Taylor's estimate of a 50 yard move gives an average speed of 40 inches per minute. Is that how fast a seiche moves? The problem here is that the object appears not to have moved during the actual film sequence - certainly Burton makes no mention of it. .. the weather was fine. The sun was shining ... fair amount of white cloud. The surface of the loch showed wind borne waves continuously moving in a north easterly direction with a small amount of foam cap. Overall, I would say the motion analysis is suggestive of a self propelling object. And remember my comment about whether the original still being reversed had an analysis impact? Clearly it does in the matter of proving the object had moved against the loch currents. Maurice Burton may not have left many frames of this film for other researchers to examine, but he certainly left a lot of drawings based on the film. Burton tells us that the two sequences of Taylor's film were one minute and forty seconds and one minute and thirty seconds respectively. The second sequence was stated as consisting of 1450 frames or 36ft of film. This gives us three minutes and ten seconds of film in total. From these frames, Burton tells us he painstakingly sketched over a thousand drawings from them. A selection of these drawings are printed in his book, but the most interesting are 96 drawings representing the first 96 frames of the first film sequence. This adds up to six seconds of footage and Burton reproduced them in his book to demonstrate the "rhythmic up and down movement of the object". These are shown below and this provided an ideal opportunity to sequence them into an animation. That animation is shown below. However, the expected running time of the animation will most likely not be six seconds as it will depend on your computer's processing power. My laptop was actually running the animation for just over nine seconds. Now as you watch this animation, you may get a sense of the fluctuations that Burton talked about. However, even at the slower speed that your computer may render this clip, it seems very fast for anything alive or much anything else for that matter. Burton admits to the problem of mapping a somewhat blurred frame of an object 200 yards away onto a crisp and sharply delineated sketch. Given the blurriness and imprecision of the only enlarged still that we have, shown at the top of this article, I am doubtful of the accuracy of this process. That is not to deny that there are noticeable variations in the object's appearance during the film, they just seem exaggerated in this animation. The resolution is of course to view the film, but that opportunity seems a distant prospect from here. Burton had a feast upon which to base his analysis, we have only the scraps that he deigned to leave behind. That he refrained from sharing evidence was not so much a sign of professional sloppiness but rather a sign that he did not wish to see monster believers induct this film into the Nessie Hall of Fame. Mackal would class the film as positive evidence in his later book as others followed suit in the monster fraternity. I have previously spoken of my own search for this film in a previous article. If a descendant of Mr. Taylor knowingly has the film, I am sure we would have heard of it by now. That may mean the film is at best now mouldering in an attic or store room somewhere, its new owner unaware of its value and importance. And I do regard it as important. Burton's analysis is not satisfactory as his attempt to downplay the movement of the object against the waves suggests. Also, his suggestion that this is merely a floating carcass does not sit well with the fluctuations described in the object. There is more to the internal than the external when we speak of what moves this mysterious object. The fact that the object apparently spent the best part of an hour on the surface may be used as an argument against it being our elusive monster. After all, don't Nessies put in rather fleeting appearances? Well, of the 292 sightings on the database that I use which state a duration, about 8% last more than half an hour. But then again, Mr. Taylor's sighting did not actually last that long as he was absent for 45 minutes. Did the creature disappear during this time or did it submerge only to re-emerge up to fifty yards further on? No one will be giving you an absolute answer on that one. That would be perfectly in keeping with the mystery. No absolute answers, just opinions from either side of the debate, but - in my opinion - I side with Dr. Mackal in calling this out as a film of the famous Loch Ness Monster. I will continue to hunt down the whereabouts of this film and doubtless write a follow up for readers. 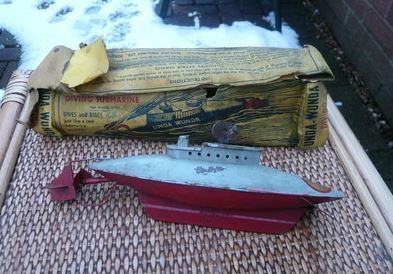 I am confident there is more information out there in old magazine and newspaper archives, it's just a matter of digging.